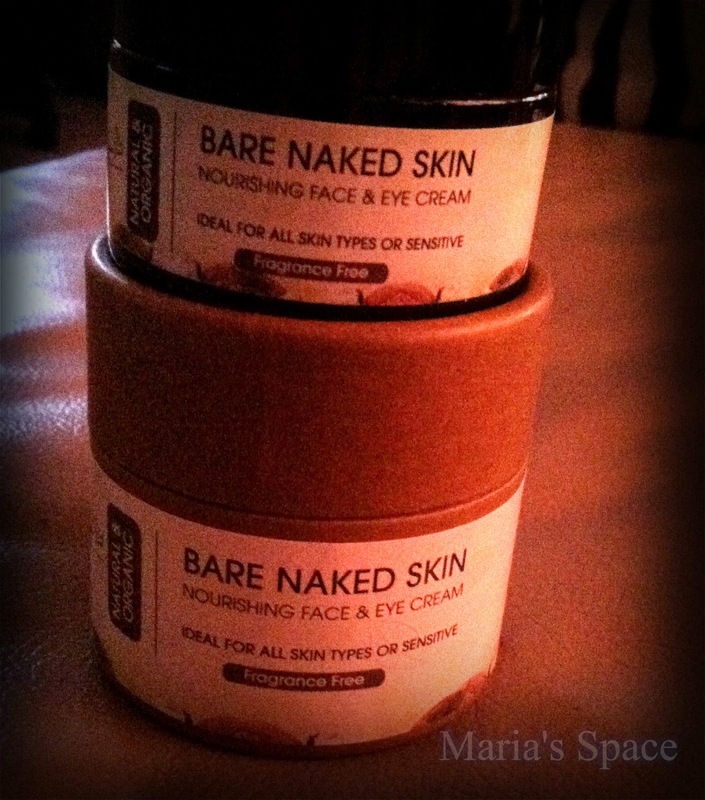 Bare Naked Skin is a wonderful product for your face and eyes. 90% natural and 10% certified organic ingredients, so it's free of all those toxins you want to keep far from your skin. Nourishment For Your Skin With Shea butter, jojoba oil and virgin coconut oil, our organic face cream supplies ample moisture for the complexion. Rosemary balances and tones, while vitamin E and grape seed oil provide antioxidant protection to offer what your skin needs. 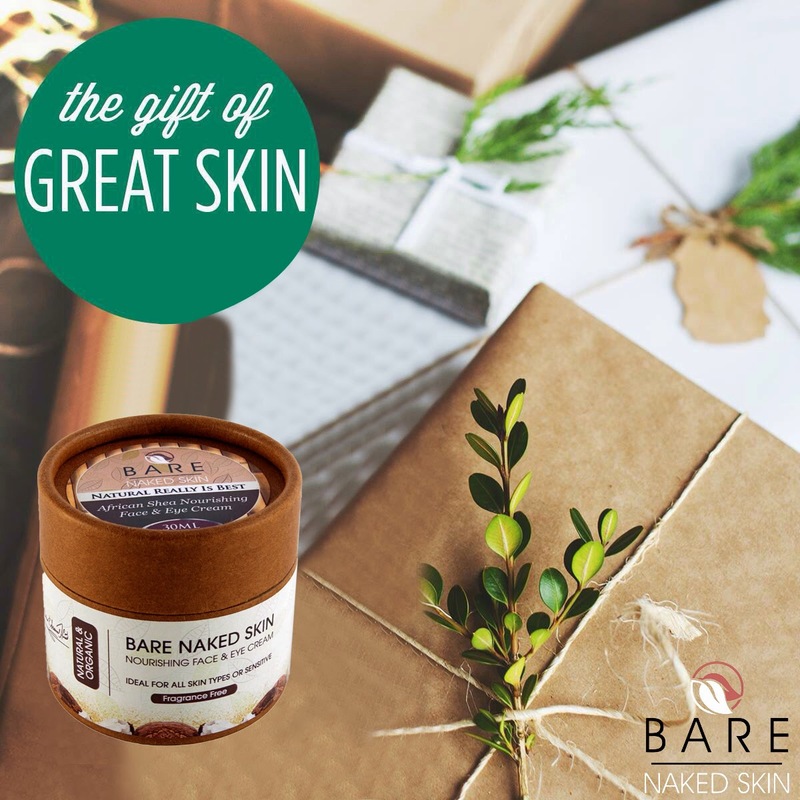 Our number one priority is giving you products that you can use to improve the health of your complexion so much, you'll feel confident to show it off bare naked without a touch of makeup. 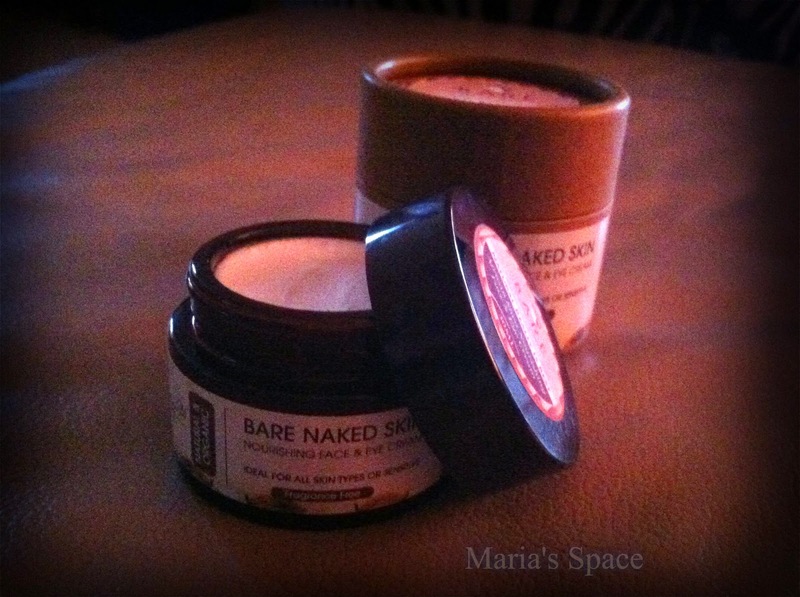 I used it on my hand originally because I always start facial and eye creams there. My fear is that I will get a reaction from something and prefer to get that on my hand then anywhere near my eyes. It made my hand completely hydrated. Literally my hand looked about 8 years younger. It was soft, smooth and felt plump. Even now I keep feeling my hand because I just applied it for the video and love how it feels. When applied to my face, I did break out on my forehead. I love the way it feels but it may be too much for my combination skin. If I had dry skin like my hands and feet I bet this would be incredible. In fact I may try it on my heel right after I finish this post. If you have a chance visit The Bare Naked Skin Blog and find out so much more about taking care of your skin.